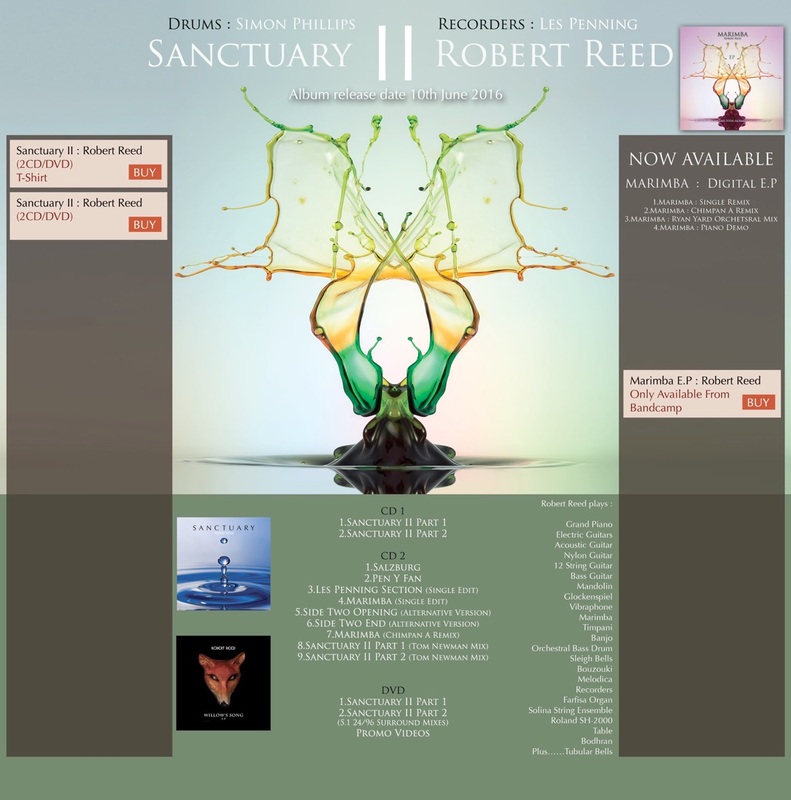 “Sanctuary II” is produced, mixed and engineered by Reed, who also plays most of the instruments himself, although for this new album he is joined by legendary drummer Simon Phillips (Toto / Mike Oldfield / The Who) while the original “Tubular Bells” production team of Tom Newman and Simon Heyworth have once again made important contributions to the sound of the album. “I wanted to do something different on this new album. I had played all the instruments on the first, so this time I decided to use real drums. There was one person at the top of my wish list, and it was Simon Phillips. I grew up listening to Simon's playing on Mike Oldfield’s “Crises” album, and went to see him play with Mike at Wembley. I could never have thought, then, that one day he would play on my own album. I feel amazingly lucky. His trademark sound is perfect for the album. It really has taken 'Sanctuary II' to another level." The album will be released as a 3 disc set. CD1 will contain the new album while CD2 includes unreleased tracks, remixes and Tom Newman's alternative mixes. The third disc will be a DVD containing the 5.1 mix of the album and various promotional and interview videos.